Cats can eat any kinds of baby food, especially the meats. Most cats enjoy meat mixed with vegetables, plain meat and the toddler meat sticks. 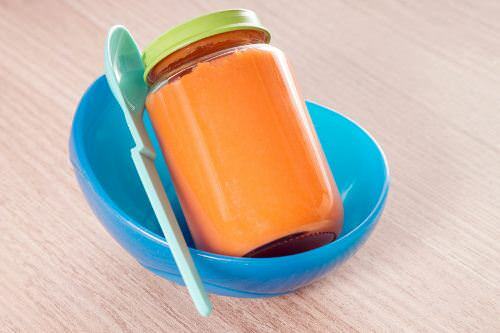 If your cat is sick, baby food is especially helpful. Don’t forget to check the labels to make sure there are no minced onions or onion powder in the food, because they can harm your feline friend! Never use ‘people’ foods as a main diet for your kitty since it can be dangerous to their health. And remember moderation is the key! What are your ‘people’ foods to give to your cat?